Any one know pattiseema pumps are running now or stopped. 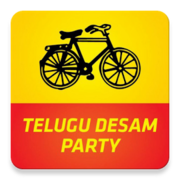 Planning to go tomorrow for pattiseema and polavaram along with family. Today 12 pumps started. As per eenadu. Pls confirm before u r trip. All are welcome to witness security gaurd himself will invite and will be tour guide and will explain each and every thing. Just saw news in etv2. Polavaram project ki velle darulanni varada tho nindi poyayanta. There is no way to go to project site.